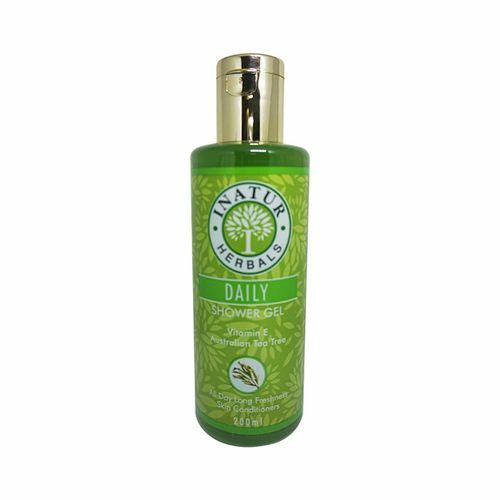 An ideal shower ritual that intensively cleanses and nourishes the skin, Inatur Daily Shower Gel rinses off quickly and leaves the skin smooth and comfortably clean. It is enriched with Rosemary that uplifts your mood instantly and cleanses your body like nothing else. It also contains Eucalyptus that stimulates your body for a refreshing experience and Triclosan that is an anti-bacterial agent. Additional Information :Inatur is a renowned beauty brand that focuses on world-class skin care products made of 100% natural ingredients. Constant innovation and quality drives this company towards success. Inatur Daily Shower Gel gets you one step closer to an ever glowing beautiful skin!